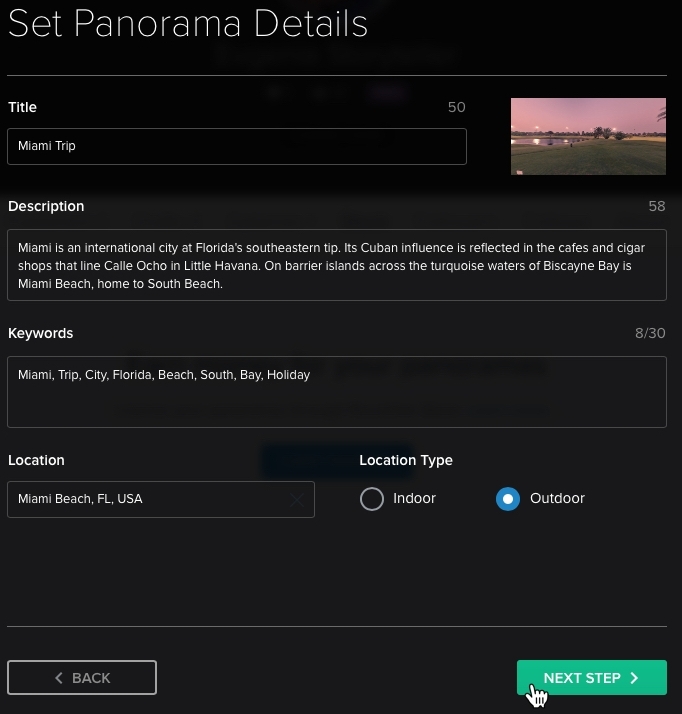 How do I submit my panoramas to be promoted in Roundme Stock? 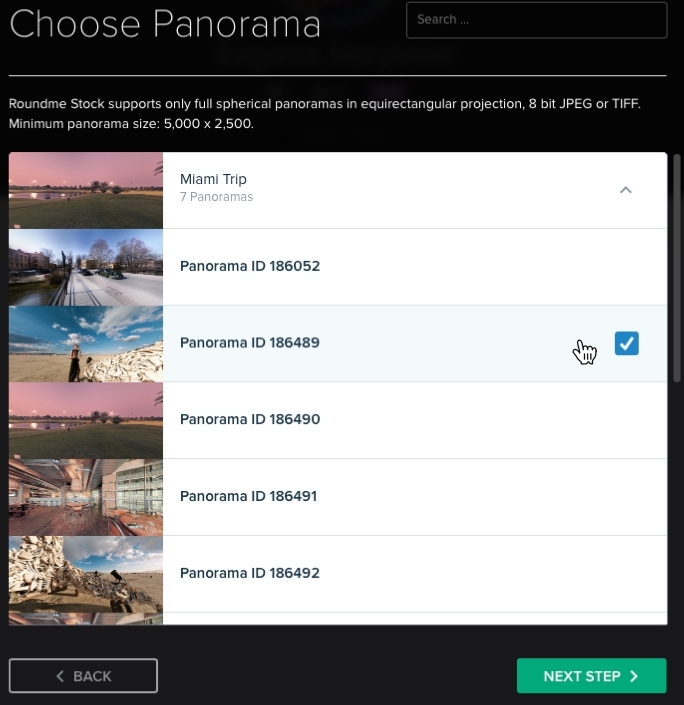 Roundme Stock is a platform designed to help you with selling your high-quality panoramas to thousands of Roundme users, who are looking for VR content to purchase. 1) Go to Stock section of your Roundme profile page and click on the Submit panorama button. 2) Tick 'Accept the Roundme Stock Contributor Agreement' optiona and click 'Continue'. Please can find Roundme Stock Contributor Agreement here. 3) Choose the image you wish to upload to the Stock (only images sized 5,000 x 2,500px and bigger can be submitted). Please note, that images that do not satisfy the requirements or violate Terms and Conditions of Roundme will be rejected from publication. 4) Add the title and description. 5) Add the comma-separated keywords to help customers finding this item through the Stock search. 6) Optionally add the location and the type of the image if it is necessary. Note: If it is not allowed to use the panorama for commercial purposes because of trade marks, celebrities or private property depicted there, add the mark “Editorial use only.” To sell such panoramas, you will need to download, fill in and attach Model or Property release for each item. 7) Click Submit button to send the photo for approval by Roundme moderator and publishing it to the Stock. The moderation process may take up to 7 days. The moderator may ask you to modify the title, description, tags or any other information to approve your request. Once approved, the system automatically publishes the panorama and generates several images of smaller sizes with different price points. Every time a customer purchases your panorama you get the royalty debited to your Roundme account.